What’s youth and adult equity, anyway? 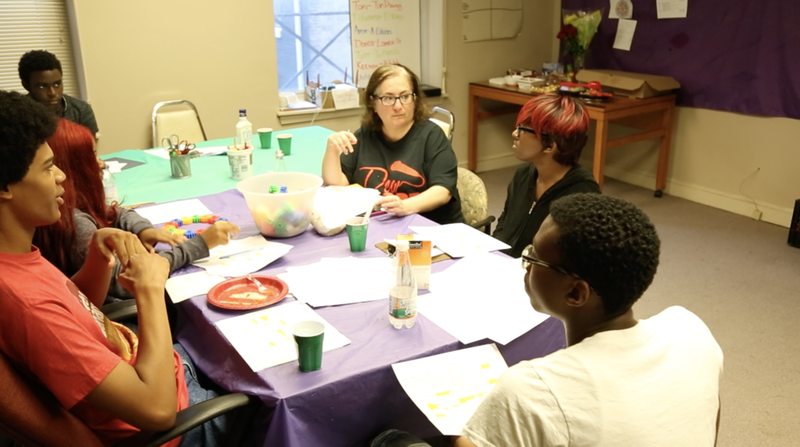 Youth and adult equity in youth organizing is the practice in which youth and adults share full responsibility, commitment, and agency. It is grounded in the recognition that we are all experts on our own lived experiences, and that the best social change work occurs where everyone’s experiences are valued and included. Some organizations we visited in this project are 100% youth-led, like the Baltimore Algebra Project and Youth As Resources. In BAP, all group members and staff are 25 years old and younger. At YAR, an adult staff member serves as Executive Director, and there are two adult board members, but youth make all the decisions. The ED of YAR jokingly tells the youth, “You run YAR. I run your life.” Her role is in many ways that of an executive assistant… solving daily problems, providing emotional support, filing grants, answering phones, and buying food. Having been with YAR for many years, she is the unofficial keeper of organizational knowledge. Other youth organizing work happens within larger adult-led organizations. This seems like the more common model. In organizations where youth and adults share leadership, youth and adult equity is a discipline that requires practice. Empowering youth starts before they enter the room. Provide youth with adequate information, training, and preparation to meet with adults. (Adults who generally are not full-time students and often have years of prior experience working on issues). Schedule meetings at times youth are available. Erica from Youth Empowered Solutions (YES!) discusses how empowerment of youth starts with careful planning of programming and operations. Youth should be the decision makers. Ayo from Boston Student Advisory Council reflects, “They [adult allies] definitely helped with the mental health aspect. They helped us on the organization and logistics. When it came down to the nitty gritty, What are we going to do? What’s our chant? What are we going to say? What are the campaigns we are going to do? They left that all to us.” But, BSAC is a part of the Boston Public Schools, and who has the final say on what the group does can get complicated. Compensate youth. Organizations offer various roles for youth that correspond to their experience- ranging from volunteer positions to paid staff and/or AmeriCorps positions. Providing financial compensation when youth promotes the personal well-being of youth and makes space for growing commitment and contributions. Shalen Moore, co-founder of Urban Underground, discusses the importance of valuing young people’s time, energy and needs. Negotiating when and how to actively support youth or simply get out of the way can be a challenge. As an adult ally, I recognize that the practice of youth and adult equity is just that… something I have to practice.